The information reported below is a summary of the Study published by the European Parliament Committee on Constitutional Affairs and entitled "Brexit and the European Union: General Institutional and Legal Considerations". Key dates: On 23 June 2016, the United Kingdom (UK) voted to leave the European Union (EU) after 43 years of membership. On 17 January 2017, PM May delivered a speech laying out the general plans for UK’s departure. In that speech she showed confident that a smooth and orderly Brexit was possible. She also was determined to end the jurisdiction of the Court of Justice of the European Union (CJEU) in UK. 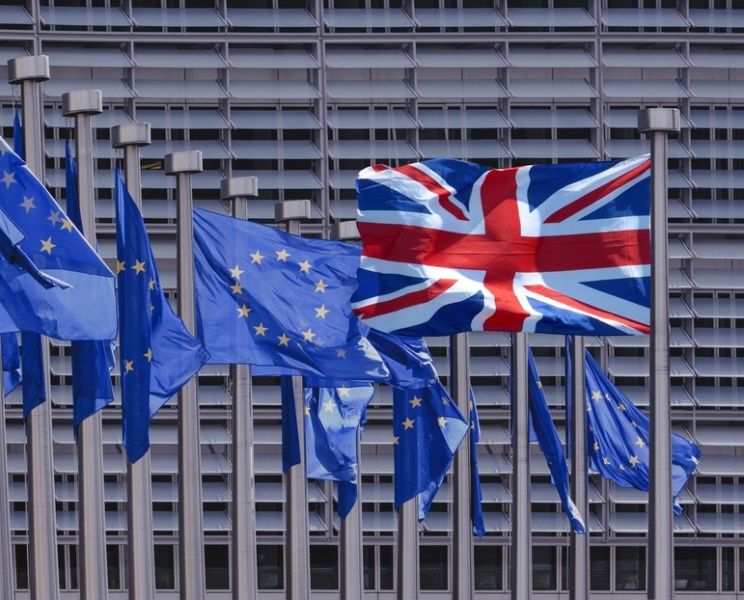 At the end of January, the European Parliament (EP) issued a study entitled Brexit and the European Union: General Institutional and Legal Considerations. The study analyses, in broad terms, the possibilities for a future relationship between the Union and its departing member and the consequences that the departure of a large Member State may entail for the rest of the policies of the Union and for the Union itself. Below it is summarized the most relevant information. The paper is divided into three major sections: a) Article 50 and the Negotiating Process; b) Models for a Future EU-UK relationship; c) Consequences of the Withdrawal for the European Union. From the point of view of the European Organization of Sawmill Industry (EOS), section b) and section c) are more relevant. This summary will focus on those, but it will have a short preliminary review of section a). Article 50 TEU (Treaty on European Union) contains important but simple procedural requirements for the process of withdrawal. The withdrawal process is triggered by the formal notification by the Member State deciding to withdraw “in accordance with its own constitutional requirements”. The British government has expressed its desire to give such formal notification at the end of March 2017. From the moment the notification letter is received, the countdown begins of the two-year deadline to conclude the withdrawal agreement. As stipulated in Article 50(3) TEU, the deadline is calculated from the date of transmission of the notice by the UK government to the European Council. It can be only extended by a unanimous agreement of the European Council. It has been understood that, ideally, the negotiations on withdrawal will be concluded by October 2018, allowing for the consent procedure to be finalised in good time for the 2019 European elections. To facilitate the negotiations, interim solutions and temporary measures – such as, for instance, maintaining the customs union for some time in the event of a radical rupture in trade conditions – will have to be considered. The Commission seems considering organising the negotiation process with the UK around three “negotiation boxes”, whereby, together with the withdrawal agreement and the future relationship agreement, prominent place is given to transitional measures. It is of course possible that, in the end, the negotiators fail to reach an agreement and the UK simply “falls out” of the Union after two years. In that event, the transitional arrangements should be of much more limited scope than if a future agreement is envisaged. In her 17 of January speech, Prime Minister Theresa May seemed still quite vague on how the future relations of UK with the Union would be, in particular the rejection of the Single market combined with the freest possible access. This looks like an unappealing stance for the European Union. Although UK should strive for a Free Trade Agreement (FTA) with the EU that is “freest possible”, its objective is to extend to both goods and services. It would aim not at “single market membership” but rather at “single market access”. It would wish to retain some aspect of Customs Union, by becoming “associate members” of the Customs Union in some way, or to remain “signatories of part of it”. But such statement comes with an outright rejection of Common Commercial Policy or even of a Common External Tariff. It has been emphasized that the agreement sought by the UK would sharply differ from the one which is currently place with countries which are not part of the EU, but which share deep economic and cultural features with the EU countries such as Norway and Switzerland. Norway’s relationship with the EU offers complete access to the single market, including services and capital, with crucial importance to the UK economy that is 80 % oriented towards the service sector. It is also proposed by a number of commentators as a possible transition option from full EU Membership to a specific arrangement tailored to UK needs and as a political solution for providing some form of control of intra-EU migration. According to this model, the UK would negotiate an association agreement that retains most of the internal market provisions intact and could still include some of the Justice and Home Affairs Policies. However, Norway contributes to the EU budget without having a say in the EU regulations, which is an unappealing prospect for the UK, especially from the political point of view. Moreover, Norway is part of the European Economic Area, which entails free movement of persons, which is something the UK government wants to absolutely avoid, at least in this preliminary phase before the negotiations started. Switzerland is not part of the EEA. Switzerland’s relationship with the EU is regulated through a length list of bilateral agreements. The bilateral agreements were negotiated in packages; the first such package of agreements made a large portion of EU law applicable to Switzerland – on air and road traffic, agriculture, technical barriers to trade, public procurement and science. This first generation of bilateral agreements was expressly formulated to be mutually dependent. If one package is terminated or not renewed, the other agreements will all cease to apply (a so called ‘guillotine procedure’). The first agreements were complemented by a second generation of bilateral agreements extending to security and asylum matters, as well as to Schengen membership, cooperation in the fight against fraud and a number of sectoral issues concerning agriculture, the environment, media, education and statistics. Switzerland is also taking part in some EU programmes such as the EU Framework Research Programme, the EU Media programme, Youth in Action and the Lifelong Learning programme. More importantly, the EU-Swiss relationship also includes the free movement of people. The Swiss option is problematic for both the UK and the EU for several other reasons as well. From the British point of view, the country would be part of the free movement of goods and persons, but not of services. Currently, however, third-country financial institutions, including the Swiss ones, are operating in the EU market mainly via subsidiaries based in London. It has been claimed that a change to this situation would diminish substantially the attractiveness of London for third-country companies wishing to operate in the EU. The EU, for its part, is not keen to establish another such form of relationship. In short, Norway and Swiss models are deeply unattractive for the UK as the country would then be excluded from the EU decision-making but still have to follow the lead of the EU legislator in the internal market and related matters. Another possibility envisaged is an agreement close to the current one in place with Turkey: the Ankara Agreement of 1995 established a Customs Union between the EU and Turkey. The scope of the Customs Union includes trade in manufactured products between Turkey and the EU, and also entails alignment by Turkey with certain EU policies, such as technical regulation of products, competition, and intellectual property law. Following this model would allow the UK to retain the EU’s common external tariff, as well as the import conditions imposed under the EU’s free-trade or preferential agreements with third countries. However, in this scenario the UK would find itself in the precarious position of having to give up trade sovereignty in order to gain access to the EU market, and would have to comply with a number of regulations covering industrial standards. In addition to not having access to the services markets, Turkey does not benefit from free-trade agreements that the EU. A fourth option would be an Agreement similar to the CETA negotiated with Canada (for more information see other articles on the EOS Website). David Davis, the new British minister for Exiting the European Union, has called CETA the “perfect starting point for our discussions with the Commission”. However, it also raises a number of difficulties. It the first place, negotiating it was a very lengthy, complex and time-consuming process (seven years, resulting in a 1600-page document). In addition, it does not cover all services (banking, for instance, falls outside its scope) and it imposes very strict rules of origin. Given the fact that the Commission recently accepted that CETA should be subject to ratification by the national parliaments of the Member States (and even by certain regional parliaments), this could set a dangerous precedent for an agreement with the UK modelled on CETA. A fifth model, and possibly a more appealing option for both parties, is the DCFTA: Deep and Comprehensive Free Trade Agreement. These represent a new generation of association agreements including a strong trade component that have been negotiated and concluded with certain neighbouring countries (Ukraine, Georgia and Moldova). The DCFTA format provides number of options with respect to the problems listed above. Their main advantage is their comprehensiveness (almost all major EU policies and competences are covered), the horizontal inclusion of three of four freedoms (goods, services and capital but not persons), including a number of institutional provisions. The core FTA aspects of the agreements include provisions on customs matters (zero tariffs, customs procedure, technical standards and regulations for goods) and policies for preserving a level playing field (trade remedies, competition policy, intellectual property rights, public procurement and secondary matters such as basic rules for services and taxation). There are other alternative association models, which do not hark back to any of the models currently in place between the EU and third countries. One of the most comprehensive, labelled as “associate membership”, has been proposed by the Spinelli Group. Under such proposals, the associate member would participate in a number of the EU’s policies and functions, and specific conditions on both financial and institutional policies would be set out for participation, while ensuring that participation does not impede common policies. Other proposals suggest, with the UK specifically in mind, that the new partial membership status should essentially consist in a codification and extension of the UK’s current opt-outs, combined with a simpler and more coherent structure of the EU decision-making in those areas. Once the UK triggers the Article 50 procedure, if no alternative agreement is reached within the specified time, and if it fails to achieve a unanimous extension of the negotiation timeframe, it would automatically fall into the WTO regime. As such, UK would enjoy access to the EU as other members of WTO. This would naturally lead to increased costs of exports to the EU for UK firms. As the trade is services in limited under the WTO regime, this would also mean reduced access to the EU market for service providers. From a strictly economic point of view, a WTO-type relationship would not be a suitable solution as it is would suppress or at least hinder UK-EU economic ties, in particular in the field of services. It could have some political advantages, in the sense that the EU could demonstrate to other potential ‘exiteers’ that there is no easy way out of the EU, but could in the long term be counter-productive and harmful to EU interests as well. As things now stand, it might well be that the prime minister “will prioritise restricting free movement and excluding European Courts, whatever the economic price”. Of course, it remains to be seen what will happen over the next few months. As regards pending legislative proposals, at this stage and throughout the negotiations, none can legally be affected by the referendum in the UK or even by the specifications or mandates of the future notification of withdrawal. At the moment of effective withdrawal (two years after notification, or earlier if there is a quick agreement, or later if there is an extension), the situation of pending procedures will need to be evaluated, and must most surely be addressed in the withdrawal agreement and any relevant transitional arrangement. In the pending legislative proposals, it seems clear that from the moment the UK ceases to be member of the Union, it will no longer be able to participate in the legislative process. As for the Union’s policies, most will to a greater or lesser degree be affected by the UK’s departure, even if only to the extent that technical arrangements need to be made. From the Union’s perspective, however, regardless of the option agreed on for the future relationship, it seems clear that those policies that have financial implications, i.e. those covered by the Multiannual Financial Framework (MFF), would be the ones most affected. The Common Agriculture Policy, the Fisheries Policy and the Cohesion and Structural Policies will to a greater or lesser degree suffer the impact of the UK’s departure. Here again, the future relationship will make the difference. In short, Union policies with financial and budgetary implications will certainly need adjustments and arrangements, and the depth and complexity of these would depend on the outcome of the withdrawal negotiations and the future partnership. The long-term or wide-ranging political or strategic consequences of the UK’s departure are certainly very significant and cannot be fully evaluated at this stage. The UK accounts for roughly 16 % of the Union’s GDP and around 12 % of its population. It is an important advocate of free trade, an influential and high-ranking member of all major international organisations, has a permanent seat at the United Nations Security Council, has a strong military tradition and a modern army with nuclear capabilities (spending more on defense that any other Member State). The UK plays a particularly prominent role in the area of security and intelligence. It is a major powerhouse when it comes to research and education, and the reach of its education, media and cultural expression is very substantial and goes well beyond the EU’s frontiers. Thus, The UK’s departure would also be a major shock to the European integration project since the reasons for its departure would not only be due to UK’s particular circumstances but shared in other Member States. Sovereignty issues and national control of immigration policy has been a major topic in the referendum. At the same time, it must be said that the UK has always been, in some ways, a rather reluctant participant in the project of pursuing an ever-closer union and sharing sovereignty. Various significant opt-outs, notably from the Euro and from Justice and Home affairs, including the Schengen system, demonstrate, as if there were any doubt, the special status of the UK within the EU. The shock of the Brexit seems to have reinforced the desire of permanence in the Union in almost all Member States (Greece and Finland excepted). The number of citizens that, in a hypothetical referendum, would vote for remaining in the Union amounts to an overwhelming majority, which has even increased if compared to the situation a year ago. Support for permanence has grown from 78 % to 80 % in Ireland and Spain, from 72 % to 75 % in Germany, from 65 % to 68 % in France and from 58 % to 60 % in Italy. In Denmark 61 % were in favour of permanence in 2015, and now the share is 75%. In Belgium from support has grown 67 % to 74 %, and in Sweden from 60 % to 71 %. The Union would thus seem to have emerged stronger, with a larger number of citizens than before supporting the idea of remaining in the EU. As a final remark, it is worth pointing out that in the long term, the Union has always been reinforced by crises it has faced. This time, however, such reinforcement is by no means certain.